Genesis is among a few brands to offer a five-year or 60,000-mile warranty for basic coverage. Seen here is the Genesis G80. 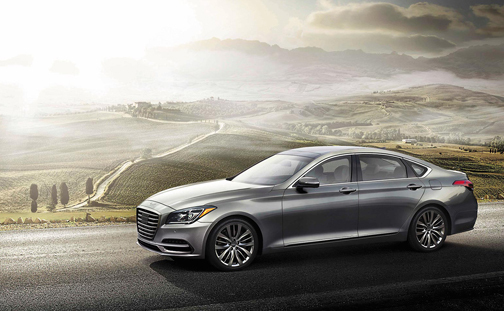 Genesis is the luxury division of Hyundai. Most of us know the new-car basic warranty, often referred to as the “bumper-to-bumper warranty,” is designed to protect the owner against any factory defects during the first few years of ownership. But did you know this coverage doesn’t actually apply to the bumpers? The vehicle’s bumpers are considered body panels and so aren’t covered. Automakers Hyundai, Kia and Mitsubishi tout their decade-long powertrain warranties, and that’s great for new-car buyers who plan to hold on to their car for a while. But if you plan on buying one of those cars used, that 10-year warranty doesn’t apply to you. You’ll only get a five-year, 60,000-mile warranty dating from when the vehicle was first sold. A partial way around this issue is to buy the car as a certified pre-owned vehicle from a dealership. If there was a 10-year powertrain warranty, you’ll get the remainder of that term, probably seven or so years. New-car tires are not covered by the vehicle’s basic warranty. Instead, the warranty comes from the tiremaker, and it’s outlined in a booklet you should find in your new car’s glove box. The tire warranty protects against premature tire wear or manufacturing defects. Make sure you keep the tires properly inflated and hold onto receipts from any tire rotations you have done just in case you need to file a warranty claim and are asked to prove that the tires were properly maintained. Warranties and their included benefits are subject to change. If an automaker wants to spur sales, it may offer a longer warranty or other special coverage, such as free maintenance. If the car company’s research shows that a certain benefit isn’t driving people to dealerships, it can reduce the coverage. Back in 2010, for example, Volvo offered five years of free maintenance. It has now scaled that back to three years. GMC and Chevrolet vehicles once came with a 100,000-mile powertrain warranty, but that changed with the 2016 model year. Now the powertrain warranty is good for only 60,000 miles. Warranty changes aren’t retroactive, however. Whatever coverage was in force for your car’s model year will apply if you need repairs or service covered by the warranty. Starting with the 2018 model year, Volkswagen offers a six-year or 72,000-mile basic warranty. This coverage effectively doubled the warranty from the prior model years and is the longest-lasting among all brands. The shortest basic warranty currently is three years or 36,000 miles, and you’ll find it on vehicles from Chevrolet, Chrysler, Dodge, Ford, Honda, Mazda, Nissan and Toyota, for example. Makers including Acura, BMW, Buick, Cadillac, Fiat, Mercedes-Benz and Mini offer four-year or 50,000-mile basic warranties. A handful, including Genesis, Hyundai, Jaguar and Kia, offer five-year or 60,000-mile basic coverage. The battery pack on a Nissan Leaf can cost up to $5,000 to replace. Fortunately, under federal emissions regulations, EV and hybrid batteries must be warrantied for at least eight years or 100,000 miles. 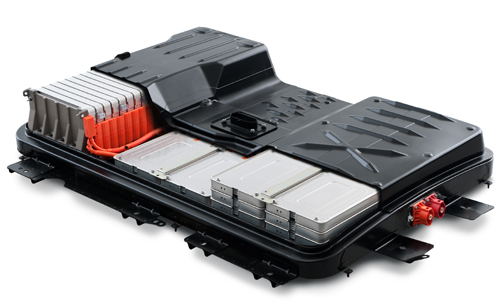 Batteries are critical to the operation of electric vehicles or hybrid cars and are expensive to replace. A Nissan Leaf battery costs $5,000, for example. Battery components are not part of the basic warranty, but there’s good news: Under federal emissions regulations, EV and hybrid batteries must be warrantied for at least eight years or 100,000 miles. This coverage is fully transferable to all subsequent owners. Imagine that an expensive part breaks on your vehicle and your warranty has just expired. Normally, you’d have to pay up. But if the dealership service manager approves it, you can get a one-time exemption. This goodwill gesture is entirely at the discretion of your local dealership service department. But if you have a track record of having the maintenance performed there and ask nicely, you’ll increase your chances of approval.